Hello and the meat filled bandwagon rolls on this time from Kilsyth to the north of Glasgow. I’m struggling to find much to focus a pie-atribe on just now as I got locked out of my flat tonight due to my main door key splitting in half as I turned it in the lock so that was fun. Then I ruined my dinner and have made an almighty mess in my kitchen that I’m now going to have to tidy up. All in all I’ve had a better 120 minute periods in my life. 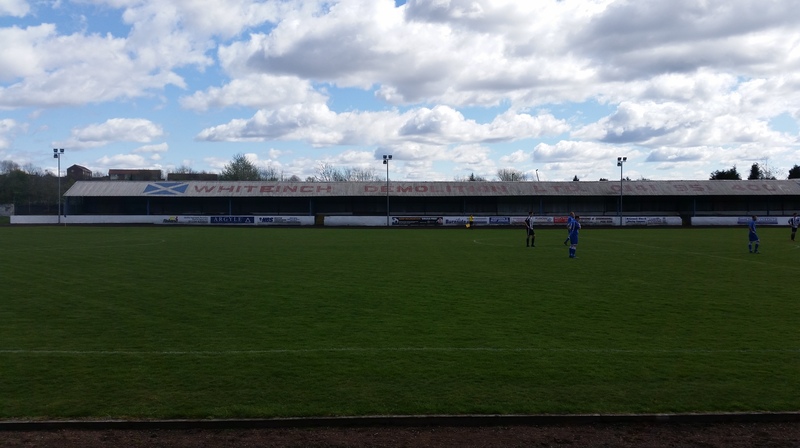 That said my team got promoted last night, and 3 points at Kilsyth on Saturday helped put us on our way, the review from the promotion winning game in Cumbernauld will be coming later in the week but for now, and without much further ado, let’s rate some pie! Price: £1. On quite the run of one pound pies at the moment, a comfort to the wallet as fixtures pile up towards to the end of the season. Presentation: On a larger than average, but not quite large enough to not call it anything other than medium-sized white napkin. A classical technique. Meatiness: I have to level with you here as I ended up buying two pies at Duncansfield. Well actually I’ll level with you even further in that the reason I had to buy a second pie was because the first pie that was purchased for me was sent tumbling to the gravel below. Don’t get me wrong I still ate it, but I thought it would be pretty unfair to review a pie that had small pieces of gravel in it and then accuse it of being a bit gritty just because somebody (not me, I should add, I would never be so careless with a pie) had dropped it. Aye, so anyway, I bought a second one. The meat in this pie was quite loose textured meaning there was a little bit of juggling to do when eating it but nothing too detrimental to the match viewing experience. I found the filling quite salty and felt it had an almost pork like flavour to it which was nice if not a tad unusual. Continuing on the high seasoning theme there was also a peppery kick present after consumption although not strangely not during. The meat was moist and definitely focused more on the savoury notes as opposed to the peppery ones most commonly associated with a scotch pie. Pastry: The pastry was nice. Golden and bubbly on the edge and solidly baked through. The top was a little grey where some boil out had occurred but all in all it was a solid effort. Brown Sauce: HP. The self-proclaimed grandaddy of brown sauces but yet isn’t called Daddies? Weird. Overall: Obviously only taking the one into consideration that hadn’t spent 10 or so seconds on the ground this was a tasty savoury treat, still can’t shake the feeling that there was pork in it though! 96 pies and counting, looking into my crystal ball it looks like ‘Pie 100’ will likely be hailing from either Rugby Park, home of the infamous Killie Pie (some would say a fitting place to celebrate a century of pastry) or from across the Irish Sea at the Aviva Stadium as I continue my Tartan Army travels but to get there I have just a couple more places to go, starting with Cumbernauld United a ten minute hop from the home of today’s review I look forward to seeing you for Pie 97. 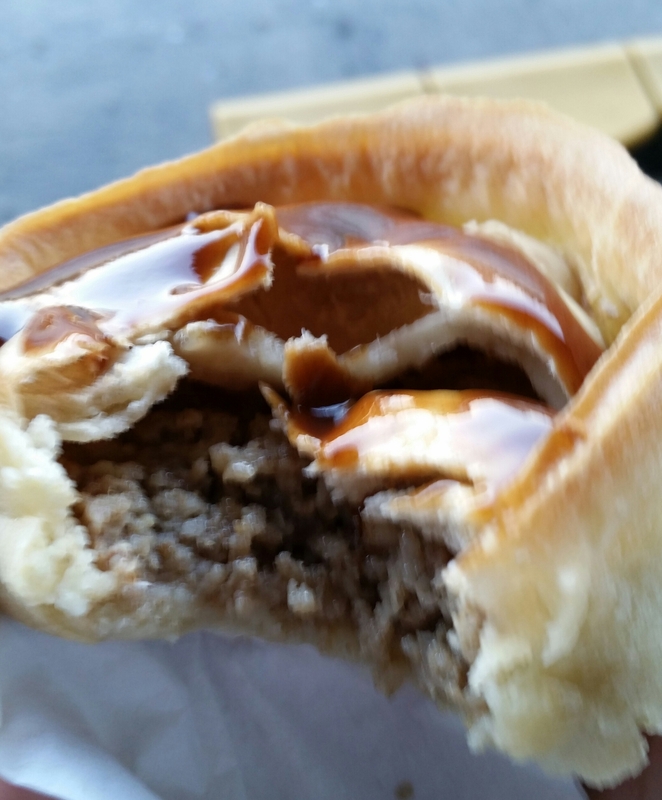 This entry was posted in Football Pies, Junior Pies, Non League Pies, Sporting Pies, The Life of Pie and tagged brown sauce, cumbernauld united, fitbaw, Football, Gravy, hp, Juniors, kilsyth rangers, Meat, meat filled pastries, pastry, Pie, pollok, pork. Now if I’m being honest my hand was forced a little so this new aspect to the blog is perhaps debuting a little earlier than I had anticipated. 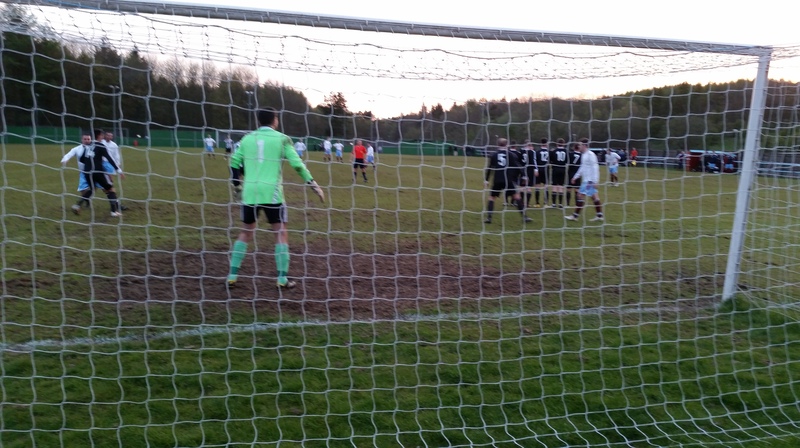 As a 5th week of non-league fixture call offs rolled in I found myself wrapped up in the magic of the cup and a trip to Edinburgh to see if Spartans or indeed Berwick Rangers could continue to defy the odds as for either of these clubs to be Scottish Cup quarter finalists is a feat not to be sniffed at. 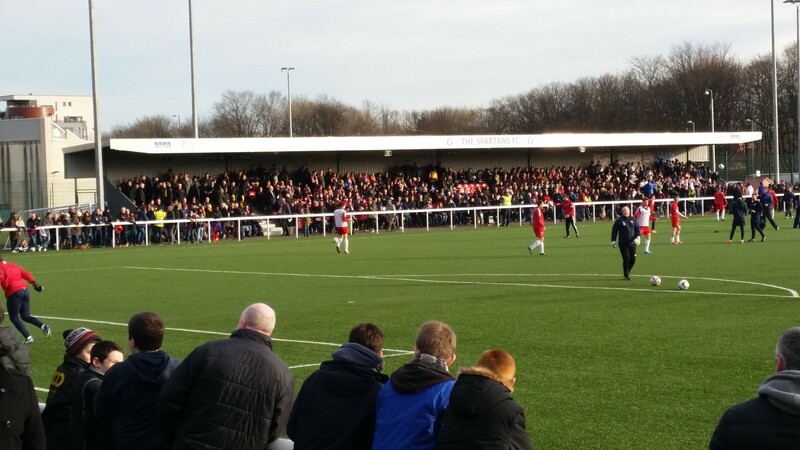 On my arrival to Ainslie Park I was greeted with a sea of humanity draped in red and white or black and gold. A crowd of over 2500 to see a game that in normal circumstances would be luck to even see a fifth of that. This is where the problem arrived. Usually I like to arrive early to the ground to ensure a pie is destined for my belly but on this, the most busy of days, the fates conspired against me. The incredulousness in my voice when I was offered a hot dog instead was perhaps a tad too far but it was then matched with relief that my trip to Edinburgh had not been in vain and a Haggis and Neeps Pasty was on offer. So with a meat filled pastry in hand, all be it in a slightly altered format, let’s rate some pie! Eh, I mean pasty! Price: We enter new territory here, as I have no point of reference for pasty prices. My inclination would be to say that these goods should be no more or no less than the humble pie but we’ll see how things pan out. This offering was £1.50 a relative bargain and certainly nothing to complain about. Presentation: This was curiously placed on a paper plate with no accompanying napkin. Now I’m willing to let the absence of a napkin slide as a table just beside the hatch could well have been housing a batch of mouth cleaning softness but I have a small issue with the plate. For all the benefits it gives in gathering any meat and pastry spillages it is also an awkward thing to hold whilst juggling a drink and programme. You’re also unable to roll a plate into a ball and put it in your pocket should no bins be present thus resulting in a bit of impromptu origami. This is just personal preference, but unless you know what you’re providing has a high moisture content then wrapping your pasty round a napkin is fine by me. It’s a Pasty. Not a Pie. Meatiness: It’s still a meat filled pastry so we shall still be assessing the meatiness of this offering and boy what a treat this was. Once you got to the filling, more on this later, you were greeted first with a lovely warm hit of smooth peppery haggis, spiced as you expect with the occasional pop of oats as you chewed through. Surprisingly though the real stars here were the small squares of neeps (in this case I’m guessing using swedes to take on the mantle, both by the colour and taste) tucked in and around the haggis adding little bursts of sweetness to cut through the spice. The filling here was sublime, an absolute triumph and lingered longer after completion had been completed. Pastry: One of the good things about a pie is that by in large the pastry to filling ratio is pretty consistent aided by its hot water crust foundations with other pastries however, such as this pasty, the pastry will tend to be puff in nature and so the balance can vary quite significantly dependent on where you go. 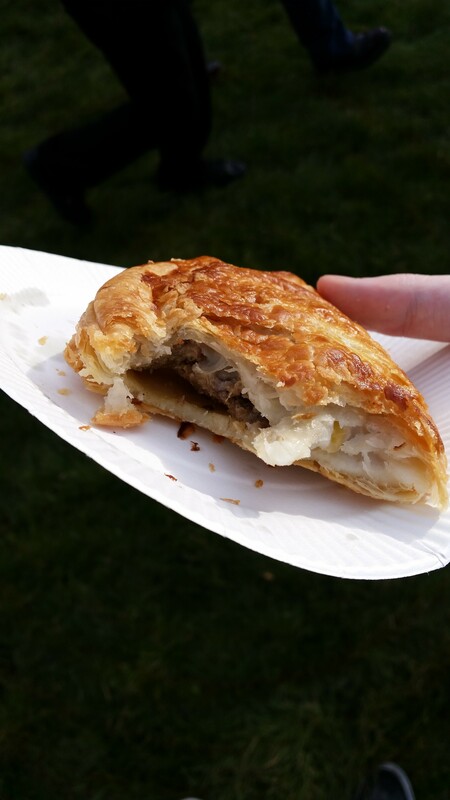 In this case there was perhaps a little too much pastry as my first, vegetarian friendly, bite would suggest with me unable to reach its meaty core until bite two was completed. Don’t get me wrong the pastry was flaky and tasted as golden as it looked it was just a little bit much although I’m pleased to report that it stayed together well at my mouths command. Brown Sauce: With no obvious well for the sauce to sit in, as found atop a pie, no sauce would be forthcoming to this pasty. Overall: A bit heavy on the pastry but wowsers what a filling, a helluva introduction to the world of non-pie based pastries. Gravy Factor: Burns Night Gravy. Worthy of a national bard. Well that is how you set the standard when you’re the first of a new breed, I look forward to seeing how others rise to the challenge. 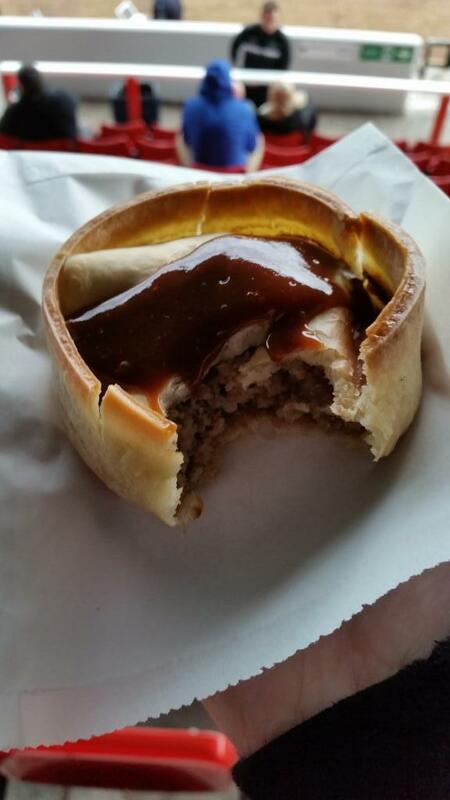 Next up though we will be returning to where it all started with a scotch pie offering from Airdrieonians. Until next time go forth and eat pie! Or a pasty! Chris Marshall, is a BJTC accredited Radio Journalist with an honours degree in Communications & Mass Media from Glasgow Caledonian University. He has contributed to prominent football sites including Pie & Bovril, The Terrace Podcast, The Football Pink and The FBA’s as well as featuring in The Scotsman, STV and a number of other media outlets. A perennial Scottish Sporting Optimist with a passion for food that has manifest itself in the wonder that is Meat Filled Pastries. 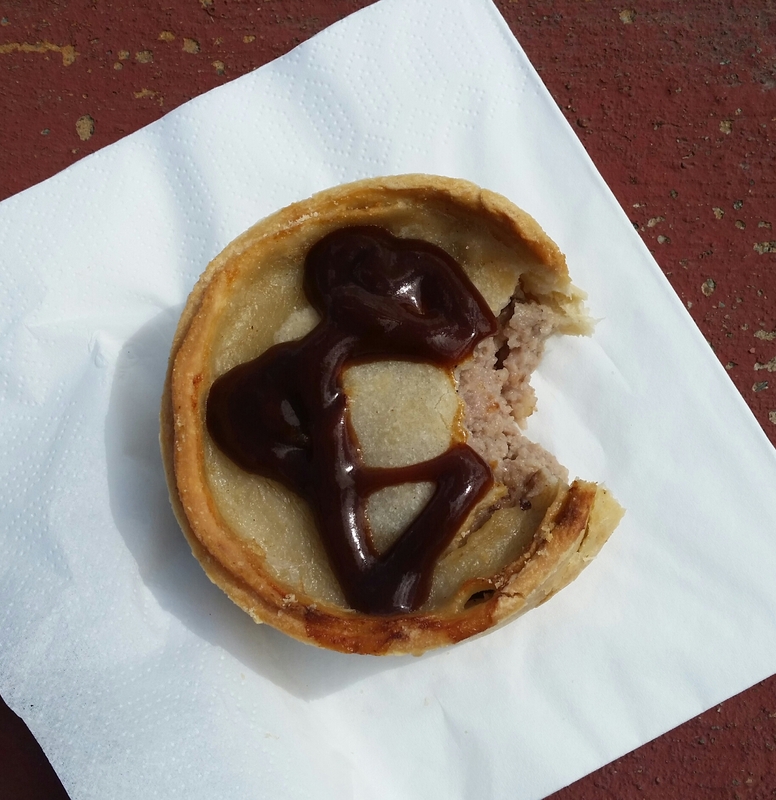 This entry was posted in But That's Not a Pie!, Football Pies, Non League Pies, Pasties, Sausage Rolls, Sporting Pies, The Life of Pie and tagged airdrieonians, bard, berwick rangers, fitbaw, Football, Gravy, haggis, Meat, meat filled pastries, neeps, pastry, pasty, pollok, Robert Burns, scottish cup, spartans, swede, turnip. Needless to say if I want to get back to the 2016 World Scotch Pie Championships then I must plough forward on this journey and so without much further ado let’s rate some pie! 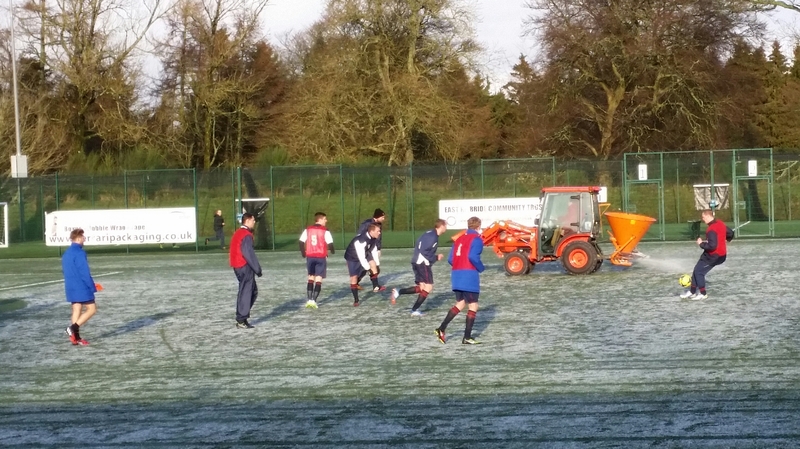 Game on, thanks to tractor power. 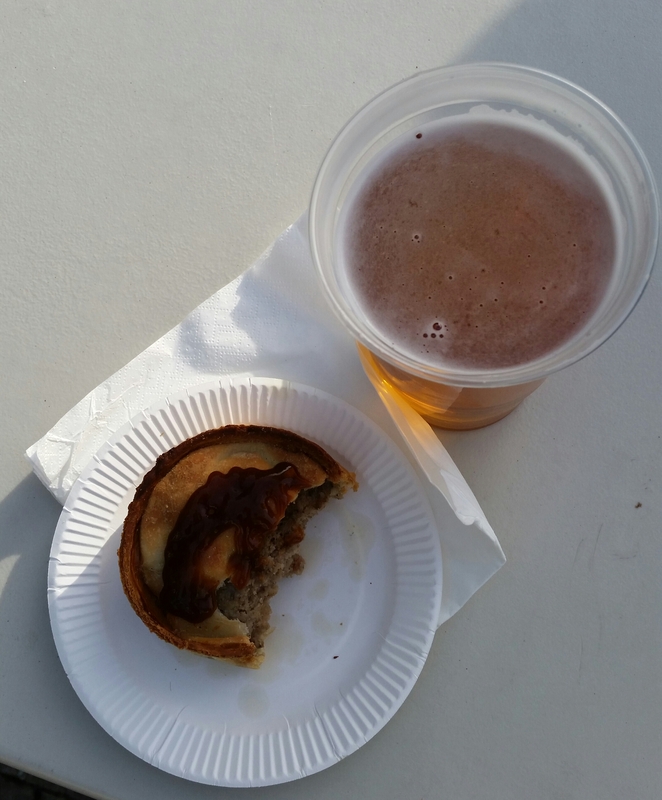 Price: Priced at £1.50 it was 50p cheaper than my only other Lowland League review to date from Stirling University but more expensive than a top end junior scotch pie. 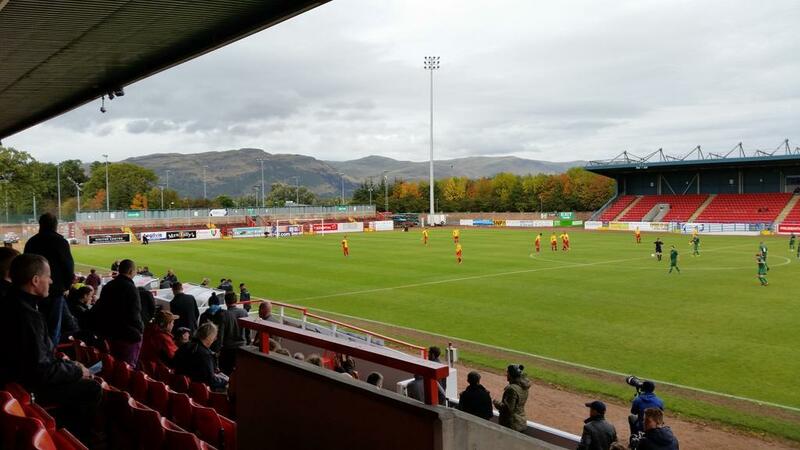 I find myself wondering if the increased cost of pie at these games is a consequence of SFA licensing costs as clubs strive to break into the closed shop that is the Scottish Professional Football League. Good luck to them all I say. Presentation: Although East Kilbride FC are a club in its infancy it’s good to see that the ever classic medium-sized white napkin is king of the K Park terraces when it comes to presenting your pastry wares. Meatiness: This pie had a contrasting, almost sweet, and savoury flavour. The filling was just about moist enough without being greasy but was also quite crumbly in texture meaning that a bit of jaw gyration was required to ensure that you didn’t lose any meaty morsels. As followers will know I like a peppery kick to my pie and although there was only a very faint linger of pepper heat in the background as a counter to the ever-increasing sweetness it didn’t mean that this pie wasn’t a tasty treat. A different kind of scotch pie. Pastry: The pastry was soft, perhaps too soft as when lifting it from its paper napkin bedding it stuck a little leaving small blobs of pastry which then made it a bit difficult to use when it came to wiping your mouth on completing consumption. The pastry was however incredibly buttery, well from what I could tell anyway, and this added some extra moisture that perhaps the filling was lacking. Brown Sauce: HP. From a bottle so cold that I’m surprised it didn’t come squirting out in little brown ice cubes it is still the king of pie condiments none the less. Maybe keep it inside the hut next time the snow’s falling. Overall: An almost sweet pie with a buttery finish from the pastry, a welcoming hit of warmth on a bitterly cold day. Gravy Factor: Bog Standard Bisto with a teaspoon of sugar. 15 away from a ton. A ton of pie, how’s that for a mental image. Next pie up will most likely be from a venue with a different shaped ball as Meat Filled Pastries heads to Scoutston to watch Glasgow v Montpellier in the European Rugby Cup. This entry was posted in Football Pies, Non League Pies, Sporting Pies, The Life of Pie and tagged brown sauce, east kilbride, ekfc, European rugby cup, fitbaw, Football, glasgow, Gravy, lowland league, Meat, meat filled pastries, mince, montpellier, pastry, Pie, preston athletic, warriors. Welcome back to Meat Filled Pastries one mans journey to champion the humblest of pastries, the pie, thanks for visiting and your continued support. This championship does everything I want in highlighting the humble pie as the breakfast, lunch and dinner of champions that it truly deserves to be. The winners will get announced in January and I’ll be sure to keep you posted on how it all goes. My second piece of news involves another episode in my travels with the Tartan Army this time from Warsaw. Now I’ll save you the blow-by-blow account of whatever drunken debauchery I may or may not have got involved in but what I would like to share is my television debut on Sky Sports HQ. Accosted by David Tanner outside a rather swanky hotel after picking up tickets for the game myself and my fellow companions swiftly found ourselves in the media spotlight responding to a series questions about ticket prices and our predicted match outcome. Now in hindsight a shout to Meat Filled Pastries wouldn’t have gone a miss but it was all good fun in the end. If anybody happened to be recording Sky Sports HQ at about 3.15pm on the 14th October give me a shout would love to give it a watch. So an eventful few days have been had. The last 3 days have been spent sleeping but here I am feeling semi-normal again so without further ado let’s rate some pie! Love a view of the hills in the background. Price: £2, double the price of the pie fare I have encountered in the lower leagues of junior football and quite a bit more than even the most expensive of junior pies. It surprised me quite a bit considering the fledgling nature of the club and the Lowland League set up that it currently sits within. I’m sure the pricing will be for economical reasons but with a target audience made up mainly of students it could be cheaper. Presentation: Remember when you were wee and you used to go to the shop and buy a 10p mix up from the local café or newsagent and it would actually have 10 sweets in it (oh for those halcyon days) well remember the bags that the sweets would come in, that is what this pie was presented on. Not in. On, like really. What made this all the stranger was that on the other side of the counter, out of reach of your average punter was a pile of small black napkins that every pie eater’s heart would have been desiring. Stranger still some people got given one of these napkins and some didn’t. As one of the unlucky few I soldiered on with my paper poke but a consistent approach to presentation in the future would be much appreciated. Told you it was on a paper bag. Meatiness: This pie was a tasty treat, admittedly it’s tastiness boosted by my Sunday afternoon hunger. The meat inside was moist without being greasy and was well filled. There was a gentle peppery kick, not mind blowing but with enough of a presence to add another dimension to the flavour profile of this pie. Outside of that there wasn’t a great deal to be said about it to be honest, for two quid I was hoping for something a little more. Pastry: Now when I first went to get a pie before kick off the lovely ladies at the Stirling Uni counter informed me that none were present and as such me and fifty or so others found ourselves waiting in the half time pie queue. This immediate need for pie I think then resulted in the pastry being ever so slightly underdone. It was too soft and it missed the crunch of crispy edges. Due to the pastries softness it also splintered all the way round dividing this pie into loose wedges much like you would find on a deep dish pizza. It didn’t make it difficult to eat but stopped it from hitting any kind of pie perfection. Brown Sauce: I’ve been a bit lax on this section I know but this seemed a good juncture to bring it back. The brown sauce provided in this instance was difficult to pinpoint as it was presented in a small white bowl in which you spooned your required dollop on with. At least it was different from a squeezy bottle or sachet. Overall: A bit too pricey for my taste given the comparative surroundings but a solid effort none the less. The paper poke and bowl were a novel approach to match day pie preparation. Gravy Factor: Bog Standard Bisto with a few idiosyncrasies thrown in for good measure. Another pie down, and the first of my Lowland League adventures complete, next up remains a mystery but until next time go forth and eat pie! This entry was posted in Football Pies, Non League Pies, Sporting Pies, The Life of Pie and tagged albion rovers, brown sauce, fitbaw, Football, forthbank, Gravy, Meat, meat filled pastries, mince, pastry, Pie, pie and bovril, scotch pie club, scottish cup, scottish football, stirling, stirling university, World Scotch Pie Championships 2015.